I’m sure that my fellow tattoo first-timers will agree with me when I say that being an American at an international tattoo is life changing. I have never identified as patriotic, or even proud of my country. It is not that I am ashamed of my heritage, I have just never had strong feelings one way or the other. While my identity has always been strongly influenced by my country and its history, I haven’t been excited to share that part of myself with people. Ever since we arrived for our first rehearsal here my attitude toward patriotism and national pride has changed. As a member of one of only two American groups performing in the tattoo I have been identified as my country. Acting as a representative of the United States, even in such an unofficial capacity, has reminded me how important kindness and friendship are. I am not a member of MCV to the members of the Kings Guard of Norway or Club Piruett of Estonia. I am one of The Americans. I belong with the red, white, and blue uniform and flag. When they see me backstage it is clear that they do not see me… they see the whole country. That is an incredible responsibility, and we all take it very seriously. Every tattoo participant clearly feels the same way. We are ambassadors, proud of our roots and eager to reach out across borders to form bonds. Every member of the over twenty performing groups can be seen backstage when they are not rehearsing, talking with members from other countries. We laugh, shout, and wave our arms around to help communicate through the language barriers. We compare uniforms, ask questions about logos (fun fact: the Home Guard Band of Eslöv has three crowns on their shirts because it is a simplified version of the Swedish coat of arms), and talk about flag etiquette in different countries. We are making friends and having fun. We are all representatives, and proud of it. Hey folks, Beth here. I’m part of the fife section (a life-long dream come true) and I am so excited that we are only two days away from our adventure! I have never participated in a tattoo before. My head is reeling just thinking about all the rehearsing we have coming in the next week. I know it is all worth it, though! Preparing for the show these last few months has been so much fun because of how amazing this group of people is to work with. Everyone is supportive, driven, and hilarious… even during long hours, and even in pouring rain. Today we had our last run through rehearsal before we step foot on Canadian soil. We also had to pack the trailer because our fearless leaders had to begin their trek north today. So, of course, the weather did not cooperate. In fact we had torrential downpours. Luckily we have a slightly protected area to work in, but we still got wet. Everyone was in high spirits though. I, for one, am over the moon that it’s almost show time! Our hard work is really showing during rehearsal. We work well together as a team both in and out of uniform, and that is reflected in our drill. As Toria mentioned in her post last week, the to-do lists around here are an insane length. With only one full day left before travel day it’s starting to feel like the world is ending after tomorrow, instead of beginning an awesome trip. I am so excited to make new friends, explore Halifax for the first time in ten years, and above all to perform with this amazing group of people. I can’t wait to hit the floor and soak in the crowd! Safe travels everyone, and we will see you up north in just a few days. 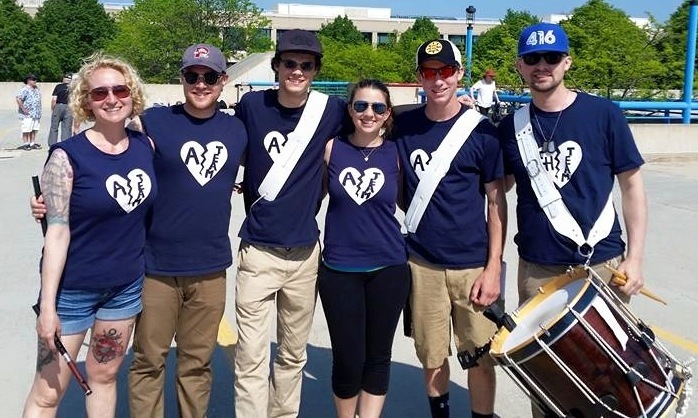 MCV has always functioned strongly within its traditional fife sections and drum sections, but through preparations for the Royal Nova Scotia International Tattoo, we have had the opportunity to work closely in smaller groups and develop some fun team identities. Our drill program has been designed to use a system of teams who work together to make our pretty pictures. I think it helps to have a consistent working group to solidify those gates and make those straight lines – and to have some fun, too. 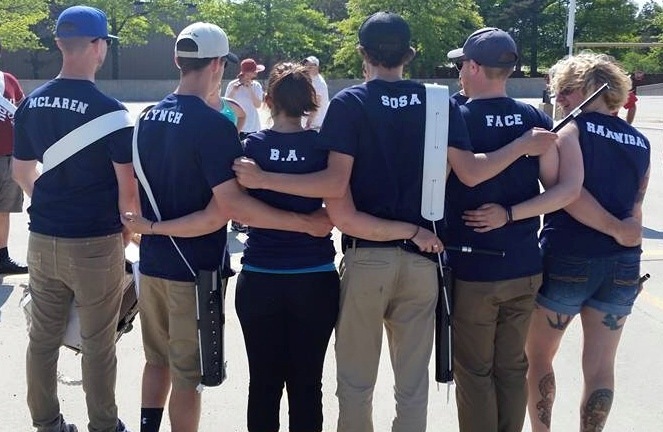 The “A Team” took full advantage of their name and worked together to make custom t-shirts with an appropriate character’s name on their backs. 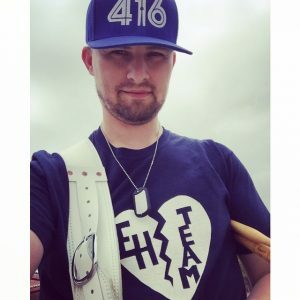 They also extended an hand to our Canadian guest, Nathan, who was granted his own shirt, the “Eh Team.” A little brotherly humor! Such clever fifers! We’ve been reviewing old photos and videos of the last time we were at RNSIT and are REALLY getting excited to return to the warm crowds, meet old friends and make a lot of new ones. It’s hard to think about anything else except preparing for that spotlight. I am Nick Johnson, one of the bloggers for the 2015 tour to Halifax. 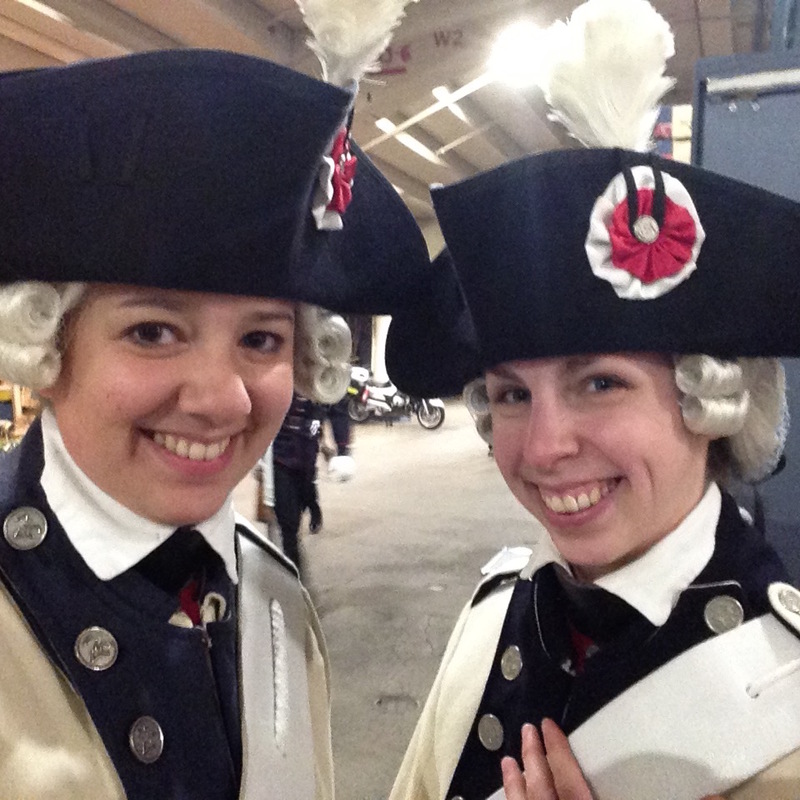 I joined MCV in January 2014, after six years in a local junior fife and drum corps. This will be my third time traveling with the corps. Previously, I tagged along with my mother, a member of the support staff, on the 2009 trip to Nova Scotia, and went on a small group tour to Puerto Rico this past December. I look forward to the thrill of my first show as part of the Tattoo cast, as well as meeting all the other performers from around the world. As of this post, we are two weeks out from our arrival in Nova Scotia. We have been working on the show music for about six months, and the drill for about two; though, our section leaders have been working for far longer to ensure MCV presents a show that meets our high standards. Dozens of rehearsals, and countless music revisions later, we are antsy to perform for an international audience. We have two parades this weekend, Warwick, Rhode Island and Charlestown, Massachusetts, where we will present our show music for a local audience for the final time before the corps hits the road. The Royal Nova Scotia International Tattoo had their Media Launch day on May 27th and posted this video of introductions from most of the performing groups attending this year’s Tattoo. MCV’s spot is near the end of the video. I am pleased to launch our latest blog: MCV on the Road to Halifax: The Return. It has been our custom to publish a blog for each of our Tattoo experiences: from the preparations and rehearsal right up through the performances and our return home. 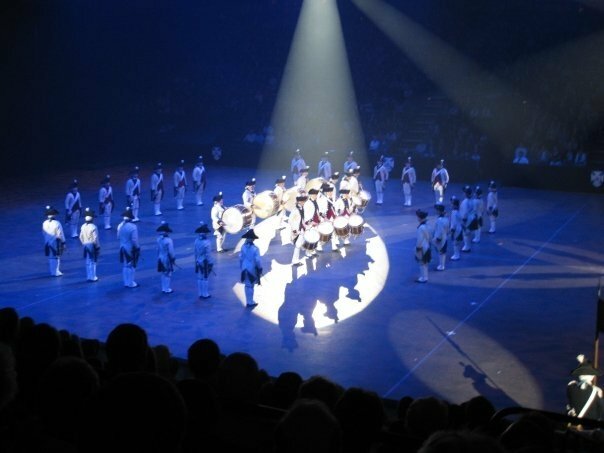 MCV is looking forward to our return this summer to the Royal Nova Scotia International Tattoo! We last performed in Halifax in 2009 and are keen to return with a new show. MCV will be holding our first drill/music rehearsal camp this coming weekend, followed by two parades on Patriots Day. Stay tuned for a report next week. MCV will be part of a cast of 1,500 from seven countries. Check out the latest line-up of talent for this year’s show.